The Funsnap iDol drone is a folding GPS drone that carries a 1080p camera and uses brushless motors. It seems like a solid deal with a price tag of under $200. How does it compare to the Dobby or Breeze? Let’s take a look. The iDol drone isn’t super small, even when folded (226 x 144 x 48mm) but it is most definitely portable. You can easily throw it in your backpack but don’t expect to fit in in your pocket. 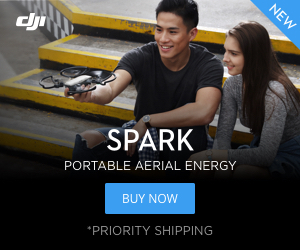 The carrying case they show in the video looks like a nice addition, but it is unclear if that actually ships with the drone. Take a look at the Funsnap iDol camera. The camera on it looks pretty good and will shoot 1080p videos at 30 fps. That would be the minimum in terms of getting good footage. There is not image stabilization so you will have to fly slow and steady to get usable footage. That is the biggest knock on the iDol drone is the lack of EIS (electronic image stabilization). The Dobby, Breeze and even Tello all do have EIS. Having EIS or a gimbal makes video footage a lot smoother and eliminates a lot of the movements of the drone. The camera angle is adjustable from -90 to 30 degrees but you will have to do that manually. The camera is a 2 MP camera so don’t expect DJI like footage. It does have 8 GB of onboard storage so you won’t have to rely on an SD card. The iDol drone does have some nice GPS modes like dronie, rocket, circle and of course return to home. iDol is controlled via your smartphone so you won’t have a physical remote to control it. Take a look at the iDol smartphone app. The iDol drone has a range of about 50 meters and a flight time of around 10 minutes. You can expect a charge to take around an hour and a half. The Funsnap iDol folds up for portability. You can pick up an iDol drone from TomTop for $179.99. 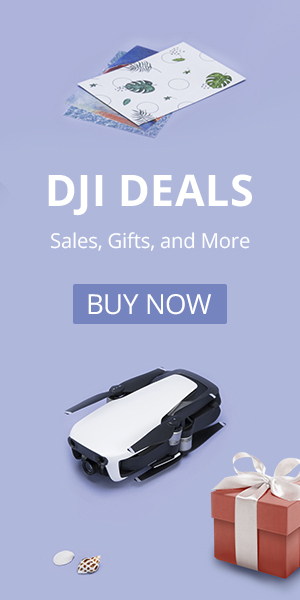 It is a pretty solid deal and one of the better drones you can get for under $200. You can get it from TomTop for $169 with the code: HYBRMF or you can add a remote controller for $209 with the code: HYYKFD. However if you are looking for other options I prefer the Dobby, Breeze, and Tello. The Dobby and Breeze both have better cameras and EIS. The Tello isn’t a GPS drone but does have GPS like stability and costs less than $100. Learn more about other excellent drones under $200 HERE. These are the best drones under $200. And they are all awesome in their own regard.